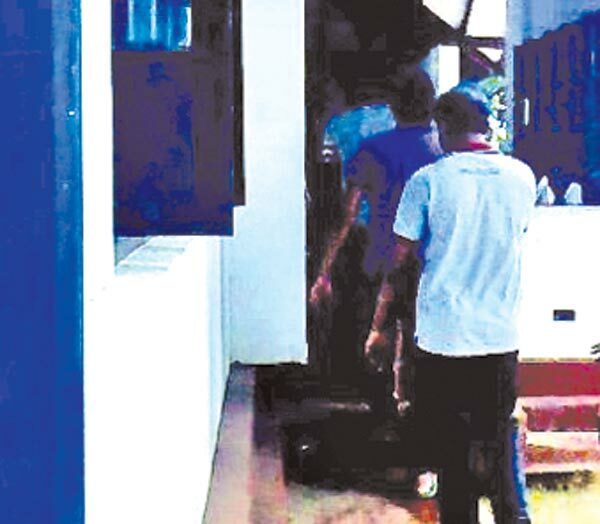 Five men who trespassed into the Nilawala College of Education Girls Hostel in the night by cutting the barbed wire fence and behaved in an indecent manner by tapping at the doors of the rooms occupied by student girls were arrested by Akuressa Police in the wee hours of Saturday on information provided by the College Dean. The Dean had summoned the police after being alerted by some female teacher trainees who got frightened at the behaviour of the intruders. By the time the police arrived, a large number of villagers had arrived at the scene with clubs thinking that a band of thugs had entered the premises. The Police had managed to control the crowd with great difficulty. Investigations revealed that the suspects included four teachers trained at the college and now serving in schools in Beliatta, Sellakataragama, Bandarawela and Sevanagala and a clerk attached to a state bank in Hambantota. They had been returning after attending a late night party. On interrogation, they had said they were after liquor and entered the girls’ hostel mistakenly thinking it was the boys’ hostel they had been living during their training. Police said the five suspects were due to be produced before the Matara magistrate. The spot where the suspects had entered the premises.